Advancements in technology have brought a wave of digital solutions to the restorative dentist. At the leading edge of technology are intraoral scanners, providing accurate transfer of information from the dental chair to the laboratory or chairside mill. 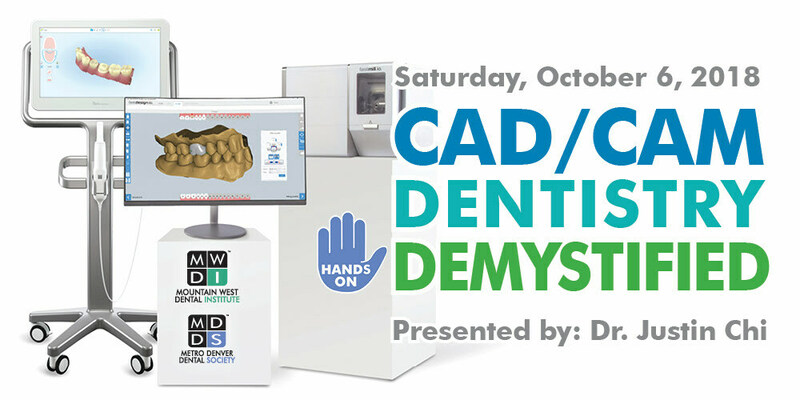 Learn how to create a more efficient dental practice through the use of impression scanning, digital design and in-office milling of the final crown. Practice achieving outstanding impressions with intraoral scanners, learn to prepare digital designs of restorations and experience the chairside milling of lab-quality restorations. The iTero Element scanner and Glidewell.io system will be used for the hands-on activities. Dr. Justin Chi joined Glidewell Laboratories in 2015 after graduating from the Herman Ostrow School of Dentistry of USC. Prior to that, Dr. Chi received his Bachelor of Science degree in dental laboratory technology from the LSU School of Dentistry, and earned his CDT in crown and bridge in 2007. While working at E4D Technologies as a dental technician and clinical educator from 2007–2011, he aided in the development of new-user documentation, and led basic and advanced training seminars for dental professionals both locally and abroad.